Until the 1930s, there was little choice when it came to purchasing an anchor, the Fisherman being just about the only type available. In 1933, keen yachtsman Sir Geoffrey Ingram Taylor, a professor at Trinity College, Cambridge, invented the CQR. 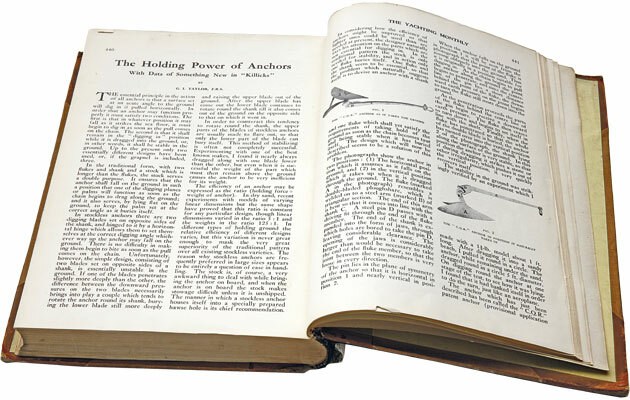 Yachting Monthly published his paper, The Holding Power of Anchors, in April 1934. Designs began to proliferate in the late 1980s and now we have close on 100 options. This is a guide to the types available and how best to select for the sort of anchoring you do. Most anchors are steel, galvanised for corrosion resistance. The carbon content should be below 0.21% to ensure ductility at all likely temperatures. In general, the flukes will be standard mild steel and the shank a constructional steel, perhaps with high manganese content, or HSLA (high strength, low alloy). Aluminium and stainless steel anchors require either sophisticated alloying or clever design features, such as hollow shanks, to obtain sufficient strength. This makes them expensive. Performance is generally satisfactory, perhaps not quite as good as steel equivalents. Aluminium’s light weight makes it ideal for kedge anchors and both materials offer good corrosion resistance. 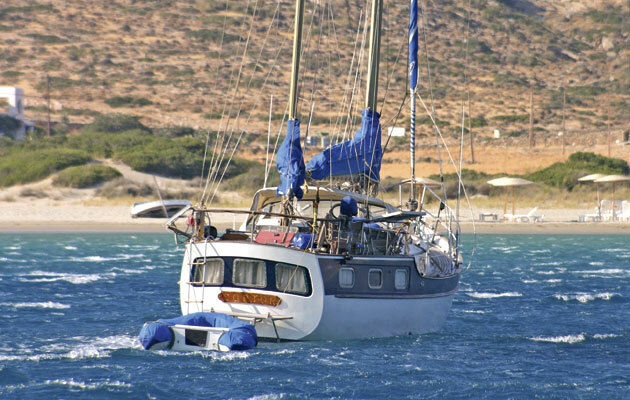 There is still a widespread belief that a good anchor is aways a heavy anchor. This may well be true for some of the older types, in which the flukes’ tip loading was not maximised, and where the anchor sinks into the seabed under the influence of its own weight, known as ‘static setting’. It certainly holds true for Fisherman anchors. However, the excellent performance of various types of aluminium anchor, both in tests and in the real world, shows quite clearly that weight is not necessarily a prerequisite for good holding power. It is a truism that anchors are marketed by weight but they hold by their area. Most modern anchors have a lot more surface area than older types of the same weight. 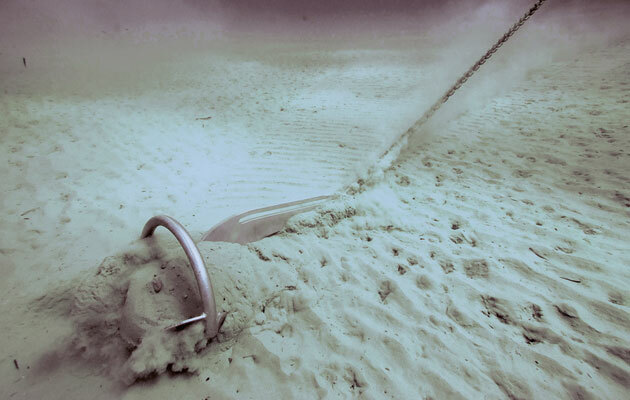 The key to achieving almost instantaneous penetration of the sea bed with a pull on the cable – known as ‘dynamic setting’ – is to maximise the weight acting on the tip of the anchor. If there is one factor that differentiates the ‘new generation’ anchors from the rest, this is it. 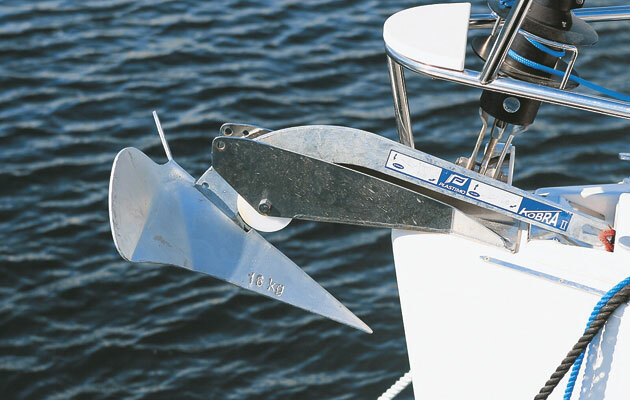 Designers of new generation anchors (and some older ones, such as the Lewmar Delta) have maximised tip loading by adding weight in this area, either with lead or thicker steel, but also by reducing the weight of other components to the minimum required, for example the shank and flukes. 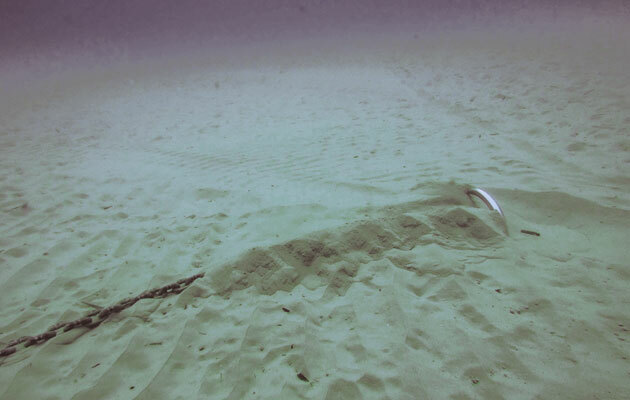 When an anchor is at rest in the upright position, the only points in contact with the ground should be the tip and the far end of the shank. The angle that the fluke makes with the3 shank contributes to penetration once the tip has entered the bottom: the optimum angle for this is about 35°. Flukes on new-generation anchors are concave, or perhaps flat, whereas on older anchors they are mostly convex. The great advantage of the concave shape is that once the tip has penetrated the bottom, it tends to dig itself ever deeper. 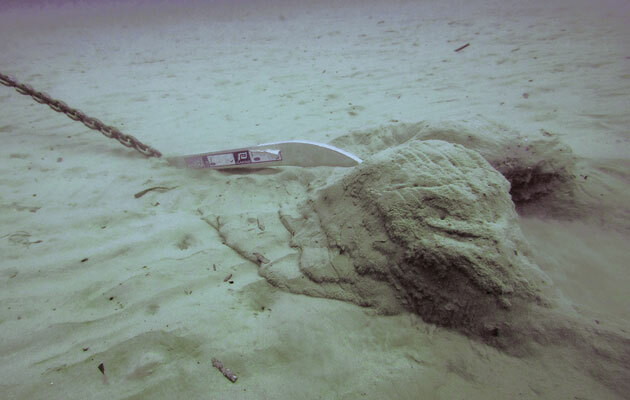 Indeed, these anchors can be difficult to break out of the sea bed after riding out a big blow. The combination of good penetration and efficient fluke shape achieves rapid dynamic setting, typically with a pull on the cable of one metre or less. To improve overall weight distribution, the heavy, forged designs of yesteryear have been replaced by far thinner ones, stamped or cut from plate. Forged shanks had their advantages – their H or I shape gave them considerable lateral stiffness. To restore this stiffness, the flat plate of a modern shank must have high yield strength (400 to 800MPa). This is difficult to achieve in metals other than carbon steel. Shank shape is a strong contributory factor in dynamic setting. Unfortunately, a long, curved shank won’t stow on some yachts’ bow rollers. New-generation anchors are expensive, due in part to advanced materials and construction methods but perhaps also to recoup development and marketing costs. At the other end of the scale are copies, cheaply made from low-grade materials, often sold online. In between lie the relatively recent plough anchors, Delta and Kobra II. A genuine CQR is probably the most expensive steel anchor on sale, thanks to its forged construction. 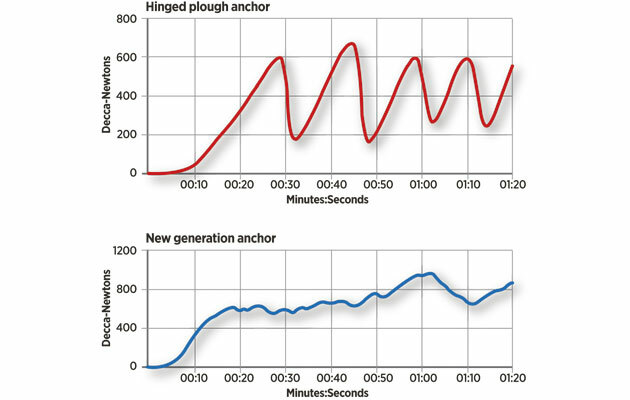 Expect to pay over £1,000 for a new-generation stainless steel anchor. If you regularly spend long periods in remote anchorages, you’ll certainly reap the benefits of the more expensive types. Modern ploughs are about a third of the price of new-generation types and almost as effective in most circumstances – perfectly good for weekend and summer-cruise use. Occasional anchorers may well find a copy to be acceptable, unless it breaks or bends! 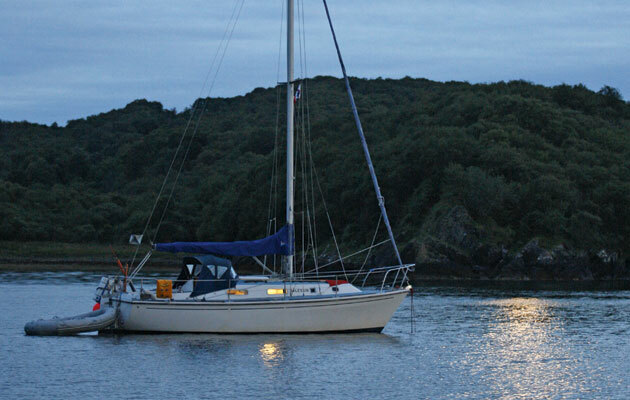 A bower anchor should reset itself when tide or wind change direction. Many newer designs can swivel in position without breaking out, but some anchors, most notably the flat types, tend to break out and skip across the surface of harder bottoms. 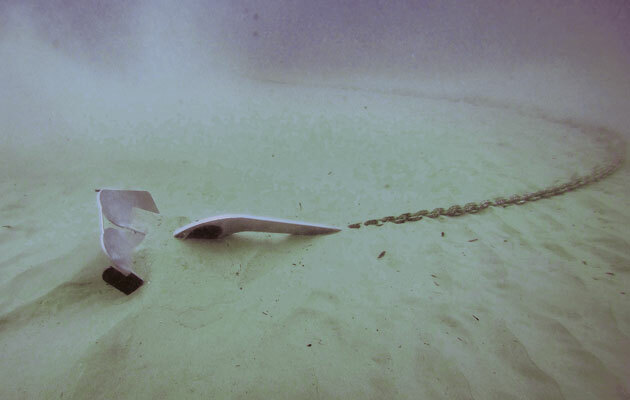 Another problem with flat anchors, inevitable due to their design, is that chain dragging across the bottom can wedge between the shank and the flukes, preventing the anchor from resetting at all until the blockage has been freed. 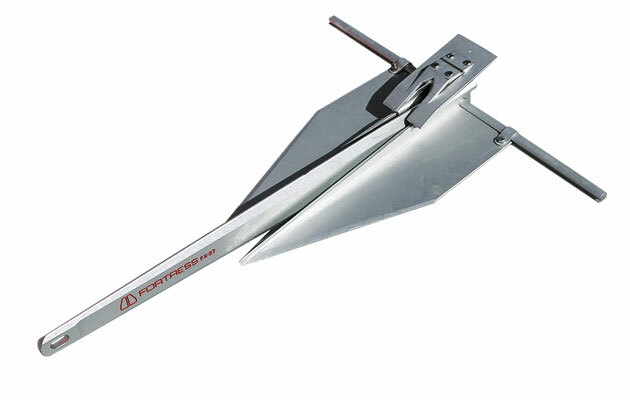 The shape of a high-performance anchor also gives a subtle advantage. Older designs, both plough and flat, are unstable at higher loads, so they roll out and reset repeatedly, sometimes over a fair old distance. 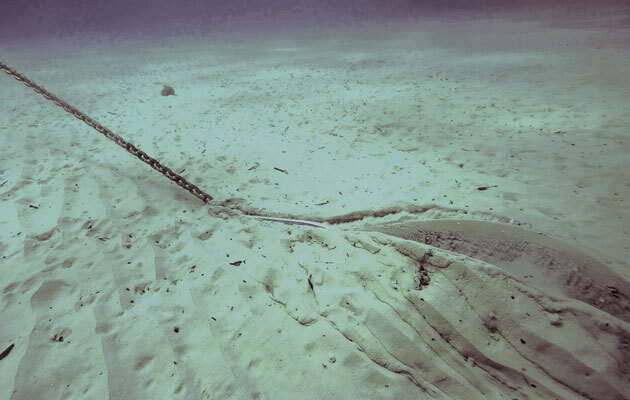 Not all plough anchors are unstable but those with a hinge almost certainly are. 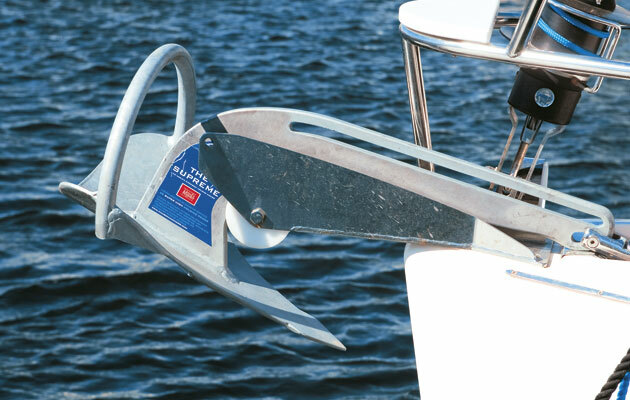 What’s the best anchor for you and your boat? For maximum performance in extreme conditions, choose either a very heavy anchor of an older type or a somewhat lighter new generation anchor. 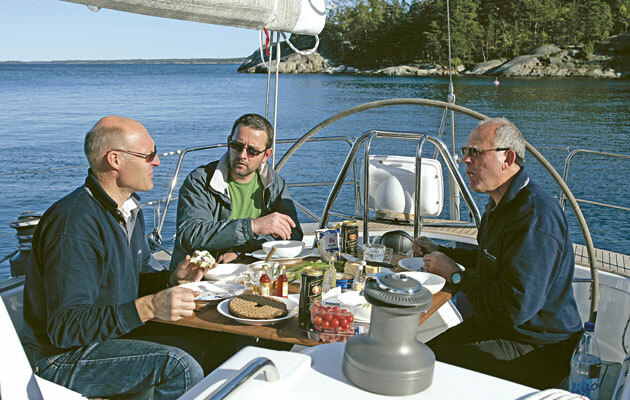 Many published tables give recommended anchor weights for boat length and in the past it has been widely accepted that going one or even two sizes bigger would offer the greatest anchoring security in the worst conditions. But new-generation anchors are different: when I bought mine, I was told the recommended size was sufficient for all foreseeable conditions. 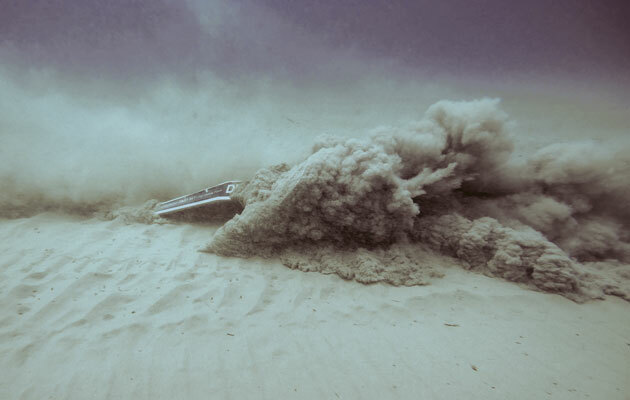 I cannot claim to have tested it to the limit, but after winds of around 50 knots it has been so deeply buried that I had great difficulty in recovering it. In my opinion, the Delta offers the optimum balance between performance and cost for the average cruising yacht. I replaced a 25lb CQR with a 25lb Delta more than 20 years ago, welcoming the step change in setting that it provided. We never dragged until that time in Greece, in mud with the consistency of thick custard. 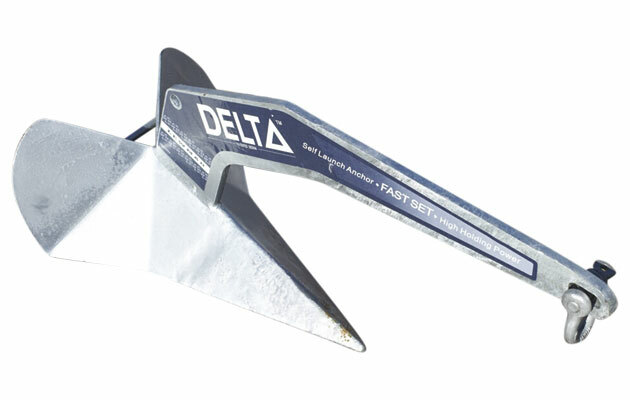 Deltas, and the similar Kobra II, are typically well under half the price of most new-generation anchors. 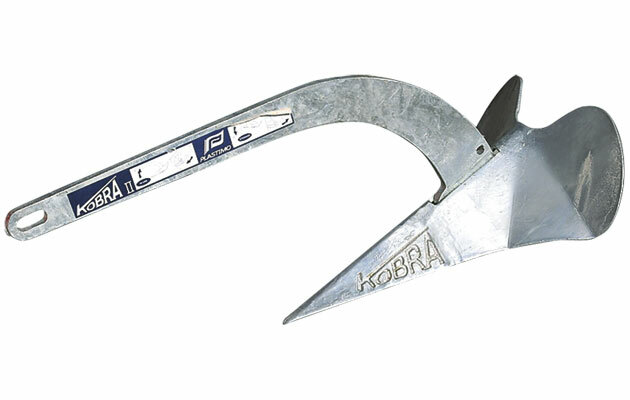 The Kobra’s long, curved, shank is problematic to stow on some boats. Copy anchors have their place, for occasional anchoring at very low cost. They’re fine for lunch stops and overnights in light airs. For anything else, use the original article.